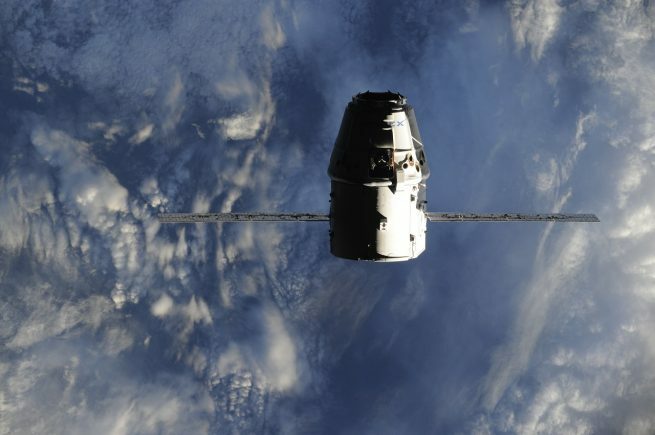 Bringing 5,000 pounds (2,300 kilograms) of supplies and a new International Docking Adapter (IDA), SpaceX’s CRS-9 Dragon cargo ship arrived at the International Space Station (ISS). The spacecraft was captured and berthed to the outpost at 9:03 a.m. CDT (14:03 GMT) July 20. 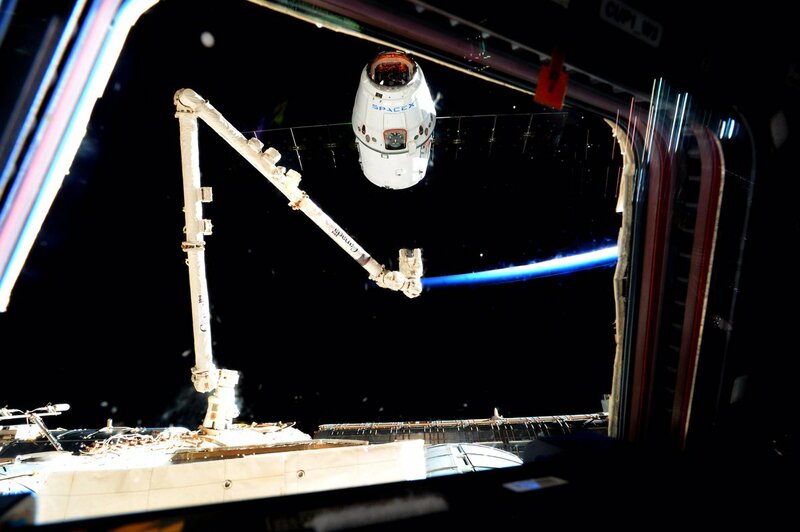 The CRS-9 Dragon rendezvoused with the space station early Wednesday morning and began autonomously to close-in on the outpost, close enough for members of Expedition 48 to use the station’s robotic Canadarm2 to grab the capsule from its free-drift. That capture took place at 5:56 a.m. CDT (10:56 GMT) some 250 miles (402 kilometers) above the Great Lakes. On the ground, Capcom Victor Glover, part of the NASA astronaut class of 2013, echoed Williams’ congratulatory remarks. Over the next couple hours, ground teams took over control of robotic operations to position Dragon just under the Earth-facing port of the Harmony module. Just after 9 a.m. (14:00 GMT), the final bolts were driven automatically to completely attach the spacecraft to the outpost. Hatches between the cargo spacecraft and space station will open on Thursday morning. Until then, the crew will outfit the vestibule—the space between the spacecraft and module—with power and data jumpers, and conduct leak checks in advance of the hatch opening. Among the food, supplies, and other equipment are many new science experiments. One of these is the Biomolecule Sequencer, a device designed to sequence DNA from orbit. This will be the first time this feat is accomplished in space. The experiment, and future devices like it, will help identify microbes, diagnose diseases, understand crew health, and potentially help detect DNA-based life in other places in the Solar System. The biggest and arguably the most important cargo item the spacecraft is carrying is IDA-2, a new docking adapter that will modify the existing Pressurized Mating Adapters (PMA) currently attached. Weighing in at just over 1,200 pounds (540 kilograms), the new docking adapter is located in the unpressurized trunk of the cargo ship. 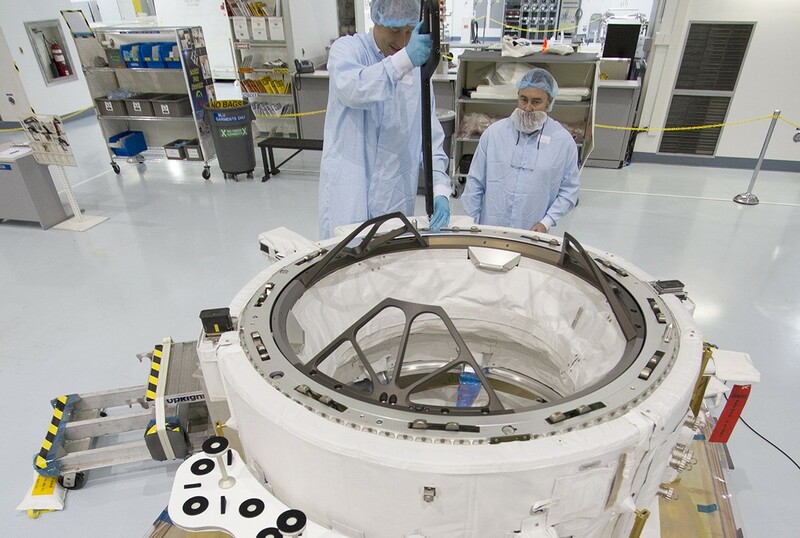 IDA-2 will be attached to PMA-2, which is located on the forward port of Harmony. On August 16, Canadarm2 will be commanded to remove the new docking adapter from Dragon’s trunk. It will be moved to just in front of PMA-2 where it will be held for two days. On August 18, Williams and Flight Engineer Kate Rubins will go on an Extravehicular Activity (EVA) to manually connect IDA-2 with PMA-2 permanently. They will attach power and data cables that had been moved into the area over the course of a few previous spacewalks over the last year. A second docking adapter, IDA-3, will launch sometime in 2018, aboard CRS-16, and will be attached to PMA-3. 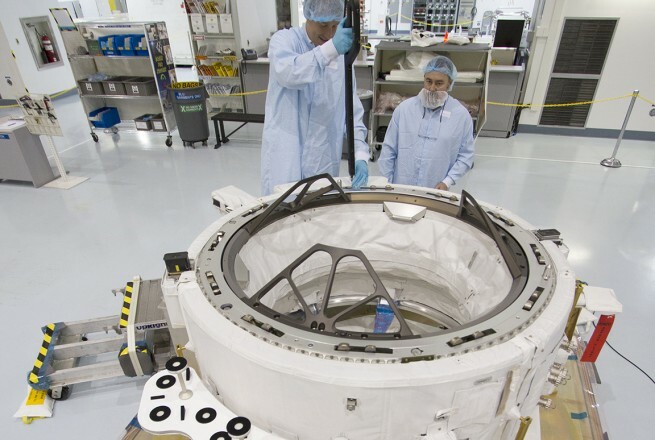 IDA-1 was lost in the June 2015 launch mishap during the CRS-7 mission. These new adapters will allow for future commercial crew vehicles to dock to the ISS. They utilize the new NASA Docking System (NDS) which itself is an implementation of the International Docking System Standard (IDSS). IDSS is an attempt by the ISS Multilateral Coordination Board to create a spacecraft docking standard that all new spacecraft use. Previously, the Space Shuttle docked to the PMAs. They utilized the Androgynous Peripheral Attach System 95. IDA will convert that to the NDS. The NDS is the first system to use low-impact technology and the first to allow for both docking and berthing. Once a spacecraft is docked, the interface allows for the transfer of power, data, commands, air, and communication. Boeing is the primary contractor for the IDAs and they are assembled in Houston at the company’s Product Support Center. While parts from subcontractors came from 25 U.S. States, the primary structure is from the Russian company RSC Energia. Dragon began its journey to the ISS two days ago. It was launched atop a Falcon 9 rocket at 12:45 a.m. EDT (04:45 GMT) July 18 from Cape Canaveral Air Force Station’s Space Launch Complex 40. That launch saw the first stage of the booster successfully return to the launch area and land on the ground at Landing Zone 1. After deploying its two solar panels and Guidance Navigation Control bay, the vehicle began its two-day orbital trek to the ISS. About 4:30 a.m. CDT (09:30 GMT) July 20, Dragon entered the station’s Keep-out Sphere—an area of about 656 feet (200 meters) around the ISS. It was at this moment the astronauts in the ISS had the ability to command a hold, abort, or retreat in the event of a problem. However, all was well and the spacecraft continued approaching the outpost. The spacecraft continued its approach until it was just 33 feet (10 meters) below the Destiny lab. Just before 6 a.m., Williams controlled Canadarm2 to capture Dragon. Dragon is expected to remain attached to the ISS through mid-August. Then it will be unberthed and commanded to move a safe distance away from the ISS. A couple of hours later, the spacecraft will fire its Draco thrusters to de-orbit over the Pacific Ocean. SpaceX will then recover the capsule and bring it to the Port of Los Angeles.